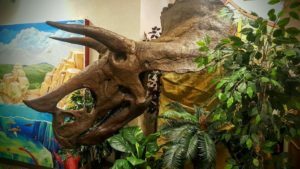 A full-scale cast model of a Triceratops skull acquired by Discovery Station is on exhibit. The Triceratops was a large, plant eating dinosaur with a large brain and three horns on its 8 to 10 foot long head. It lived 72 to 65 million years ago. At 25 to 30 feet in length and 15 to 20 feet tall, it was among the largest Ceratopsians and one of the last to become extinct. 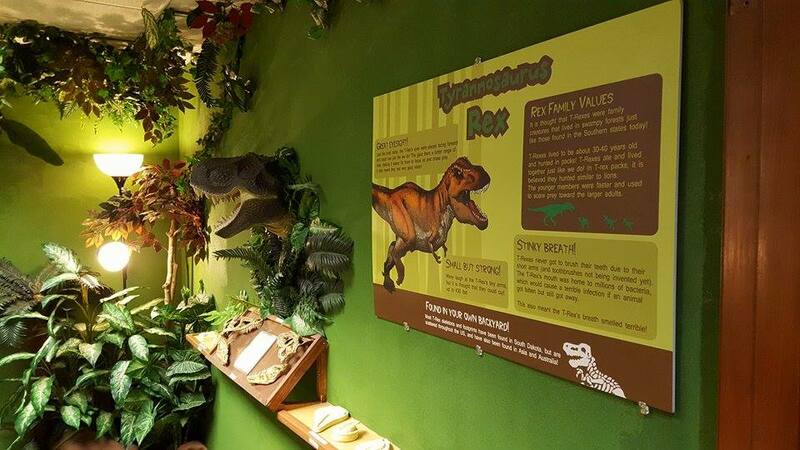 Included in the Dinosaur Exhibit are fossil tracings, literature, and other interactive activities providing hands-on learning experiences. Currently showing in the Dinosaur Viewing Room is the fascinating film Allosaurus about the life to death experiences of a carnivorous dinosaur whose skeleton was discovered in Wyoming. “Big Al” dinosaurs may have lived and roamed in our area 150 million years ago. That’s why kids are fascinated by dinosaurs. Leap back 65 to 220 million years ago to prehistoric America when dinosaurs ruled the earth. Some even lived in our area. You’ll marvel as these fearsome creatures roar to life. Also showing occasionally is the acclaimed BBC film Walking With Dinosaurs with dueling Triceratops and the soaring Ornithocheirus that could travel over 300 miles on a single wing flap. 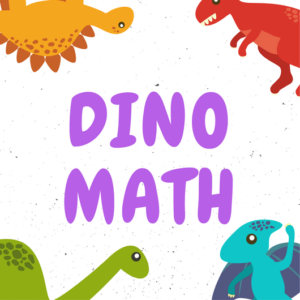 Download FREE Dino Math Worksheets! These FREE Worksheets are a great way to introduce your child to basic math concepts, color and shape identification. Choose from Count The Spots!, Dino Learning, Add The Dinos, and Fun With Dinos! These worksheets are free to use in the classroom or at home!